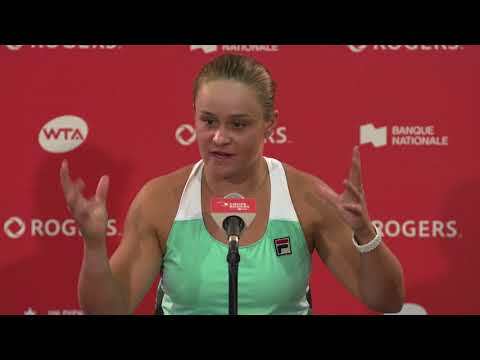 As the world’s best players prepare for Rogers Cup presented by National Bank, Tom Tebbutt and Roger Lajoie have you covered on everything happening in the world of tennis! 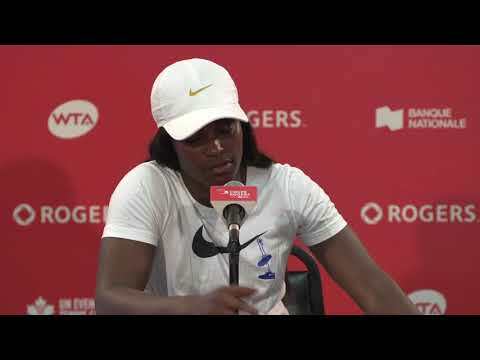 On this week’s episode of ‘Aces’, Toronto tournament director Karl Hale joins Tom to talk Rogers Cup, Tony Cho returns for his regular segment and fans have two chances to win free tournament tickets! If you missed it, you can catch all episodes of ‘Aces’ at http://www.sportsnet.ca/590/aces. Novak Djokovic caused quite a stir in Toronto as he is currently in town meeting with doctors. Canada’s top two singles players are in the city as well. Milos Raonic is back home, and you may have seen him on Sportsnet’s Tim and Sid show or heard him on the FAN 590. Eugenie Bouchard has also touched down in ‘the six’ as she prepares for the Rogers Cup. Bouchard will team up with Connor Mcdavid and Aaron Sanchez this week as part of a Rogers Cup promotion! Karl Hale has been the tournament director of the Rogers Cup for 11 years and has been a patron of the tournament since he was just 10 years old. He sat down with Tom to discuss the excitement around the Rogers Cup and what fans can expect at this premier tournament. Karl talked about some of the events leading up to and during the tournament and the competitive field of women’s players. He also reflected on his tenure as the tournament director and some of the trials and tribulations of the job such as dealing with tornado warnings and scheduling conflicts. Tony Cho stepped out of the umpires chair and into the studio with Tom Tebbutt as the two discussed the role of coaches during match play. Cho highlighted the difficulty of policing the coaches during match play as many sit in the player’s boxes and yell out instructions. The experienced tennis official recounted stories of dealing with coaches and the teamwork required among officials to keep the coaches and players honest. Fans had a barrage of questions for Tom to answer, everything from controversial comments Bernard Tomic made at Wimbledon to the role of Roger Federer’s new bigger racquet in his resurgent 2017. Tom was also asked about possible changes to the on-court coaching rules during matches and if the US Open will be the first tournament to adopt them. Novak Djokovic has two brothers, one of them is named..
Email your answer to roger@sportsnet590.ca for your chance to win!